White label test pressing of the recut lacquers. The original cut was unsuccessfull, and the recut is identified by "RE-1" in the matrix codes. This was approved, as all retail records have these matrix codes. The lacquers were again cut by Carol Hibbs at K Disc, metal plates were manufactured by Lee Plating, and records were probably pressed by Erika. "Essen mich", another new comment in the matrix codes, is German for "Eat me", and was written by Hibbs. Perhaps a comment to her original cut being turned down? It could also have been added at the request of Mark Lanegan. Two confirmed copies have been found to be from the second cut. Copy 1 came in a plain white sleeve with a "Screaming Trees singer's 1st solo record" sticker. 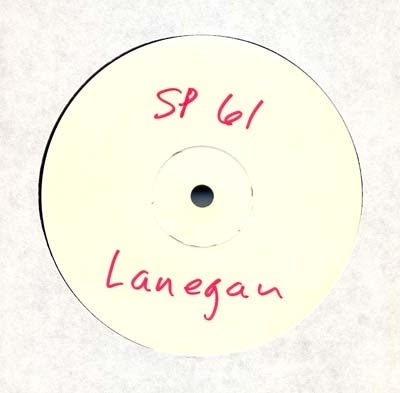 "SP61 Lanegan" is written in red on side B, while the side A label is blank. 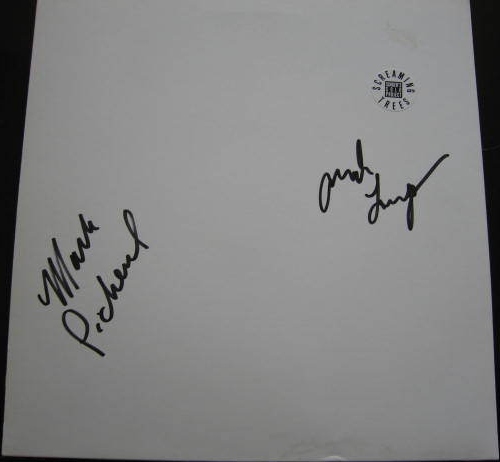 The sleeve was signed by Lanegan and Mark Pickerel when the record was purchased in Pickerel's record store Rodeo Records . It also came with a retail insert, but this may have been added later. Copy 2 came in a plain white cardboard sleeve and white inner sleeve. It also came with two 12" cardboard panels with the retail sleeve graphic, front and back, of same cardboard stock and glossy finish as the retail sleeves. 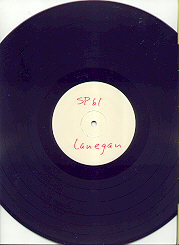 "SP 61 Lanegan" is written in red on side A. It has not been confirmed which cut the last copy shown on this page, in image 4, belongs to. 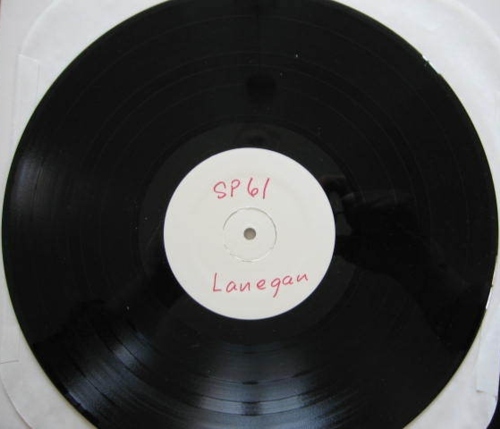 The copies labeled "SP61 Lanegan" in red were labeled by Sub Pop. They were labeled by the same person who labeled at least two of the test pressings from the original cut. Kurt Cobain provided backing vocals on Down In The Dark and Where Did You Sleep Last Night , and played electric guitar on the latter together with Krist Novoselic on bass.